Larry Olmstead, Forbes contributor, has recently named the Telluride Ski Resort as his new favorite ski resort! He credits the most important reason for his love of Telluride Ski Resort as the Terrain. With trails good enough for the pros, Larry loves this about this location. Let’s also remember that for those who are a little less advanced in skiing, we’ve got some great trails for you too. Secondly, he appreciates the “presence of a town” nearby as another reason people should check it out. 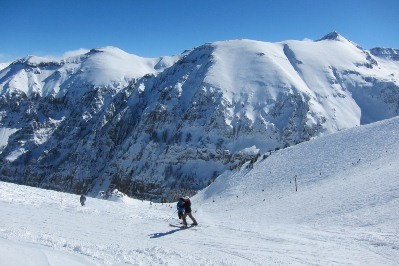 Lastly, Telluride offers a wide-range of activities in and around the resort. It keeps you captivated, and entertained enough to stick around. Read more about why Larry Olmstead loves Telluride Ski Resort.